The anniversary of D-Day was last week and the summer solstice was three weeks ago. And today, the twelfth day of July, will be a special day for me. Why? Am I going out on the march to commemorate the Battle of the Boyne? Nope. Today I’m planning to spend no less than eight hours in the sunshine by the beach barefoot. I arrived at Murlough Nature Reserve at 8.20am where I slipped my shoes off and stuck them in a plastic bag and padded down to the beach. It was low tide so I turned left and walked along the sea front until I was almost in reach of Dundrum. In fact if I’d been wearing swimming trunks instead of jeans I would have been able to ford the little river and walk to the town. 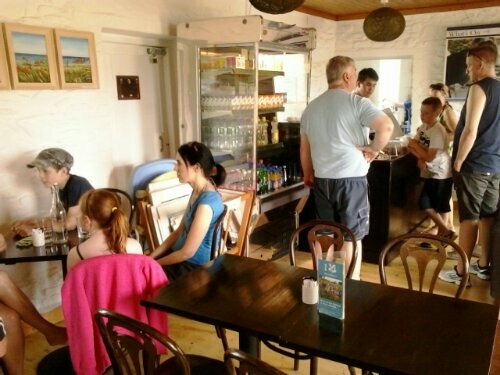 At present I’m in the little cafe in the Murlough Nature Reserve near the caravan site. I’ll give you a further update when I get to Newcastle. I’ve said this many times before and I’m saying it again: Sunshine, I love you! After many months of wondering if we’ll ever get a spring this year, let alone a summer, I am pleased to report that we have had several days of warm, sunny weather. And I’ve been taking maximum advantage of it. On Saturday I took my usual barefoot trip to Murlough Beach and Newcastle. On Sunday I went to Tyrella Beach where I played on the sand dunes and in the surf. And today I went back to Murlough Beach and explored the sand dunes and the caravan park. I also discovered that although I’m on the wrong side of forty I can still sprint. Yes, I’ve discovered something here that I could never have discovered in Belfast or London: barefoot running. I never had much interest in running when I was growing up in Belfast and the only sport I actually attended in London was the Marathon. Not only that, I never liked wearing gutties (that’s the Belfast word for sneakers or trainers). They made my feet sweat and they’re not my style anyway. And London and Belfast are no places for a barefooter. London is swarming with cars, and in many of Belfast’s streets there’s broken glass and dog dirt everywhere. And that’s why I’m so glad I live within walking distance of not one but two beaches where all I have to worry about is the weather and the tides and I’m not encumbered by such a petty and distasteful thing as footwear. So now I’ve discovered the advantages of barefoot running, I’ve decided to put in a short burst of running whenever I visit a beach. Nothing too strenuous, you know, not more than a minute or so. This is my favourite time of year and this year in particular I’m really coming alive! One good thing about being unemployed in the summer is the freedom to come and go as you please. You’re not cooped up in an office or a department store where there’s no sunlight. If it’s raining, too bad. But the past three days have been just what a summer’s day should be, hot and sunny. And I’ve been using those days as best I know how, to slap on the sunblock and get out and enjoy the sunshine! In fact, not only have I been taking maximum advantage of the summer, I’ve visited a new beach. Murlough Beach stretches from the Murlough Nature Reserve near Dundrum all the way down to Newcastle. The first time I visited this beach was on August 8th where I decided to cool off my feet after a walk all the way from Downpatrick. Then I jumped back on the bus home. Yesterday, however, I went further. If there’s one thing that’s guaranteed to get my energy levels up to maximum it’s a summer’s day in the countryside and the beach. So I used that energy to walk along the beach, in and out of the surf, all the way to the Slieve Donard Hotel in Newcastle. And when I reached Newcastle I walked all the way back. Nothing unusual about that, but I was barefoot the whole time, from when I reached the beach at Murlough caravan park to Newcastle. I got into the habit of being barefoot on the beach at Tyrella. You don’t have to worry about sand in your shoes and you can walk through rock pools and the surf with total impunity. I put my shoes back on at Newcastle and had a walk about the town, but when I got back to the beach the shoes came off again and I didn’t bother putting them back on until I reached the asphalt path back onto the main road. Now, according to Google Maps, the distance via the A2 from the Murlough Caravan Park to Newcastle is 3.04km, but the route I took along the beach is shorter, 2.5km or so. So, 2.5km there and 2.5km back adds up to a full five kilometres, give or take a few hundred metres. And that is the longest distance I’ve ever walked barefoot in one day. And my feet are none the worse for it. …though I’m not promising anything. I’m not here to offer any explanation or apology about why I haven’t posted for so long. I’m here to tell you what a magnificent day I’ve had so far. Perhaps the most unusual thing about today is that I got up just before 6:00 this morning. Unless it’s Sunday I’m seldom up before 10:00am. And then, don’t you know, since I had nothing planned for the day and the weather showed no sign of clouding over, I decided to take a walk. And what a walk it turned out to be, all the way from Downpatrick to Tyrella Beach. The countryside is beautiful enough at any time of the day, come rain or shine, but early in a sunny morning in late spring, early summer is when it’s at its best! 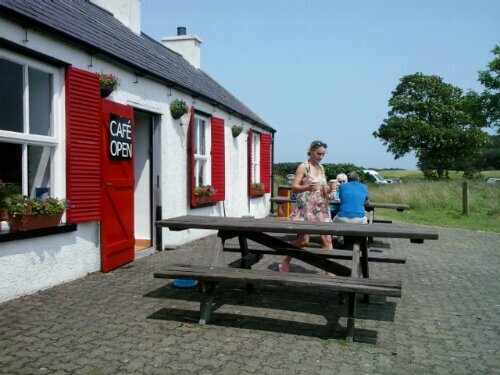 After about twelve kilometres of walking I reached the A2, Minerstown Road, I came at last to Tyrella beach. And it was here that I did something I haven’t done since a visit to Portsmouth in September 1995. I took my shoes off and walked about barefoot in the surf. I’ve been up for more than nine hours and walked twenty-four kilometres (my estimate – Google Maps is being updated, apparently) and I should be worn out by now, but I’m not. We still have six hours of daylight left and I’m not going to waste any of it sitting in a library in front of a computer. I’m going to slap on some more sun block and get back out into the sun. Yes, I know I’ve said this before, but I just have to say it again. Tuesday and Wednesday were everything a summer’s day should be, hot and sunny and not a cloud in the sky. And I took full advantage of the sunner weather. On Tuesday I took a walk up to Inch Abbey and then took a further walk up towards Annacloy, went south via Woodgrange, Drumcullan, round to Bonecastle then back home. 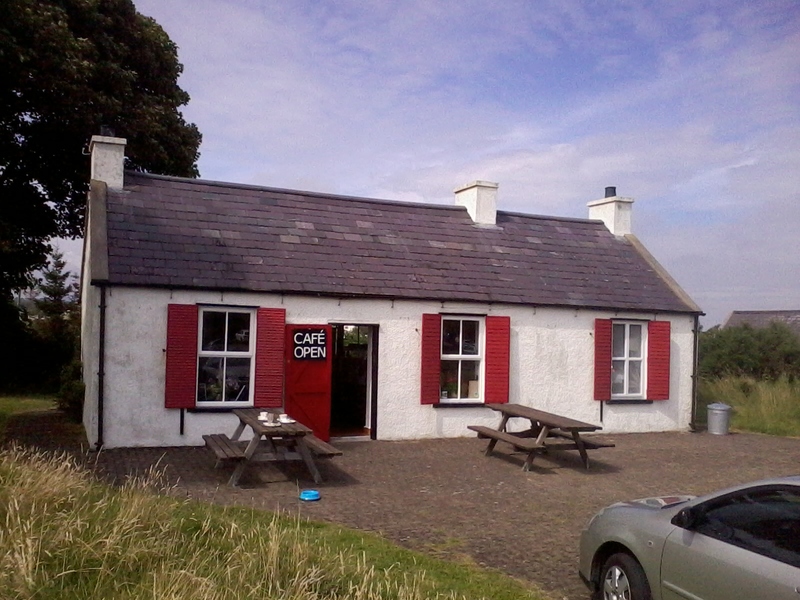 Wednesday’s trip took me south, down to Tyrella Beach via Ballynoe and Marshallstown. And if you’re wondering where all those places are or you think I’m making them up, look closely at an Ordnance Survey map of Downpatrick. By the way, I got sunburn, even though I made a point of plastering myself with sunblock. The sunblock must have come off with the sweat I was working up. I’ve been riding here and there around London for the past few days, feeling the city under my feet (or under my bike wheels, even!). Today I cycled to Richmond. And I had dinner al fresco at a restaurant on the Thames. On a boat converted into a restaurant, that is. A blissful summer day! I love the summer and I love London!